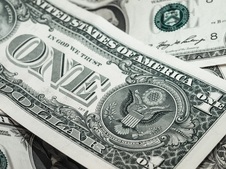 Consumers have several opportunities to address the IURC in two major rate cases this month. 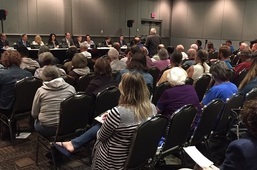 Public hearings in the Citizens sewer rate case are set for Jan. 7 at the University of Indianapolis and Jan. 17 at New Augusta Public Academy North. In the NIPSCO electric rate case, IURC hearings are scheduled for Jan. 28 at Hammond High School and Jan. 30 at Goshen College. The OUCC also invites written consumer comments in both cases. The OUCC is recommending denial of Indiana American Water Company's (IAWC's) requested rate increase. In the agency's December testimony, the OUCC recommends reducing the utility's requested return for various reasons. OUCC analysts also recommend significant reductions to requested cost recovery for numerous proposed infrastructure projects, on the basis that the utility has overstated costs on certain items and not provided detailed cost estimates on others. An IURC order is expected later this year. The OUCC has until Jan. 22 to file closing arguments on Vectren's proposal to build a new natural gas-fired power plant and install coal emissions technology. A number of orders in the IURC's Tax Cuts and Jobs Act investigation were recently issued, providing additional rate relief for consumers. These include approvals of settlement agreements with Aqua Indiana and orders for several small natural gas utilities. 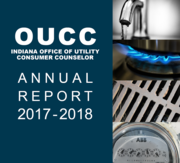 A pending settlement agreement between the OUCC and Indiana Utilities Corporation would reduce the utility's rate request from 5.24 percent to 4.29 percent. The OUCC has recommended a significant reduction to Southern Monroe Water Authority's requested rate increase. All parties in the Fort Wayne municipal water rate case have reached an agreement in principle and expect to file a formal settlement in early January. The IURC issued its order in the Evansville municipal water rate case in December. Our recently issued annual report shows how our technical experts, attorneys, and additional staff are working hard each day to follow through on our mission. The report reviews our most recent fiscal year while describing our key challenges and opportunities through our mission pillars of dedicated advocacy, consumer education, and creative problem solving. Scott Bell has completed 30 years of employment with the State of Indiana. As the Director of our Water/Wastewater Division, Scott oversees our analysts who testify on water and sewer utility rate requests, examine utility accounting and financial records, conduct engineering analyses, and do much more. The OUCC greatly appreciates Scott's hard work and dedication to the agency and to consumers throughout Indiana. 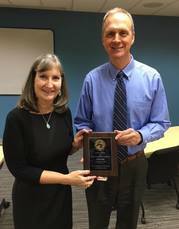 He is pictured here receiving his 30-year service award from Barbara Smith, our Executive Director of Technical Operations. 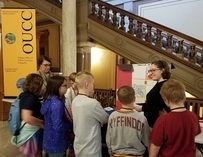 Fourth-grade students from throughout Indiana visit the Statehouse to celebrate the state's birthday every Dec. 11. Indiana's 202nd birthday was no exception. Numerous state agencies, including the OUCC, participated. Alyson Sanders of the OUCC discussed household safety tips with students, parents, and teachers. 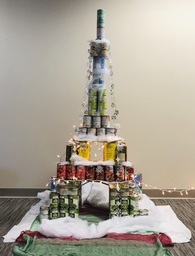 Our staff recently used 180 cans and several boxes of dry goods to build this Eiffel Tower replica. It was the OUCC's submission to the "Canstruction Competition," a canned food drive with a twist. State agencies are invited during the holidays to create unique structures only using cans of food donated by state employees. All of the donated goods were distributed to the Midwest Food Bank of Indiana. In addition, the OUCC staff supported Riley Children's Hospital through our internal toy drive campaign, with nearly 120 toys and books being donated through the Riley Cheer Guild. To represent all Indiana consumers to ensure quality, reliable utility services at the most reasonable prices possible through dedicated advocacy, consumer education, and creative problem solving.